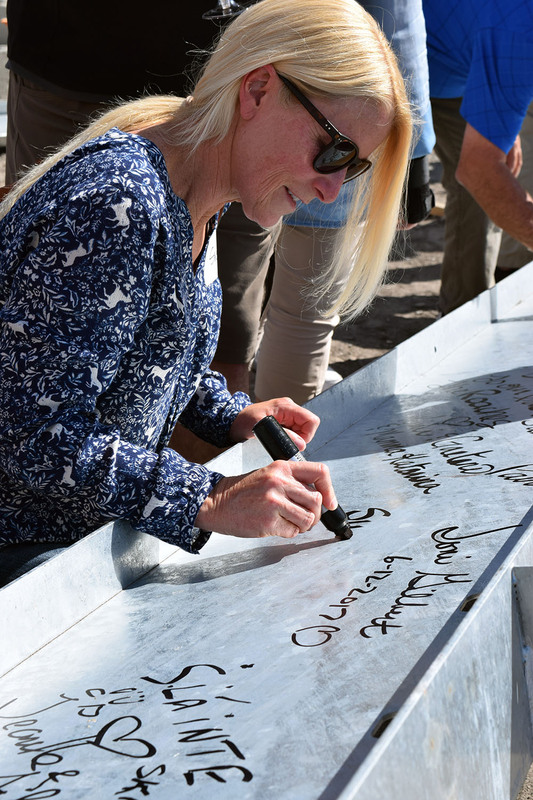 Roche Winery Platinum Club Members (Roche Futures customers of more than 20 years) were invited to celebrate the raising of the last structural steel member of the new Roche Winery construction, topping off its new barrel room and tasting room. 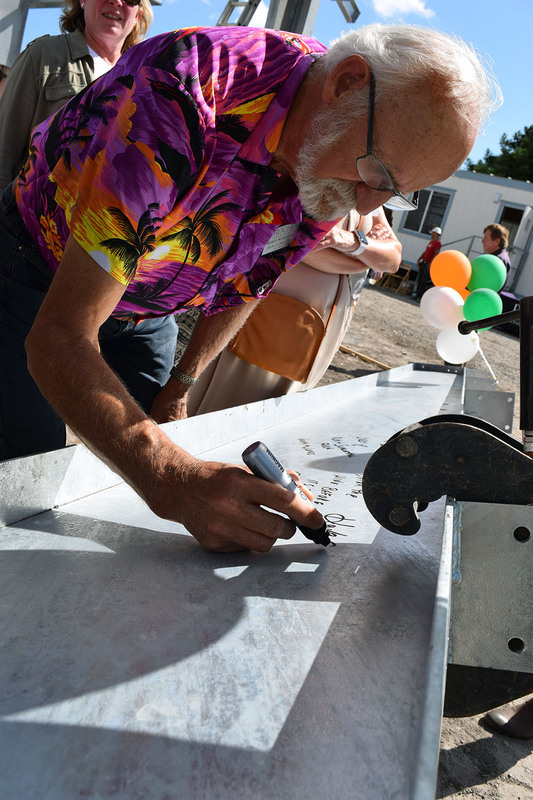 The Roche Family marked this significant milestone in the construction of their winery by hosting these select customers and guests to a “Topping Party.” All guests had the opportunity to sign this steel beam, forever marking their attendance at this special event. 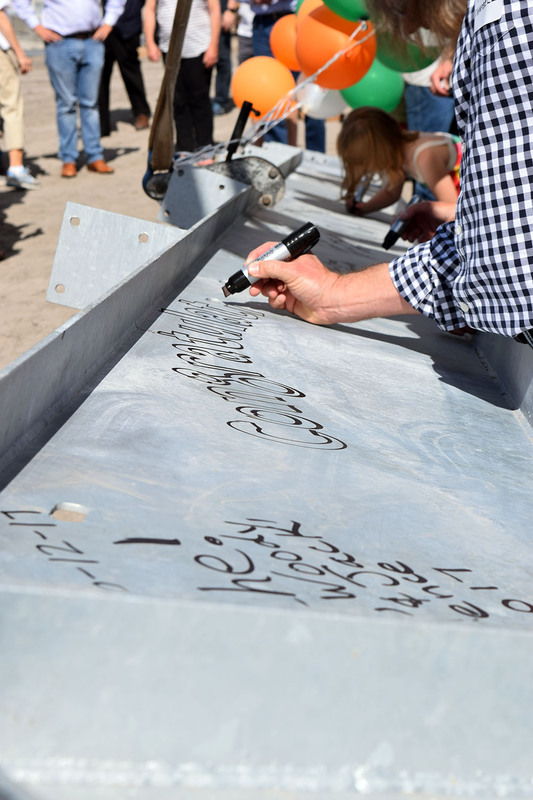 Once all attendees had signed the beam, the Roche staff "topped-off" their glasses with the newly-released Roche Brut sparkling wine, while they watched the last structural beam being raised and put in place. Afterwards, all guests were invited to the adjacent Roche Winery Vacation Rental for wine and “lights-bites” prepared by Mara Roche. 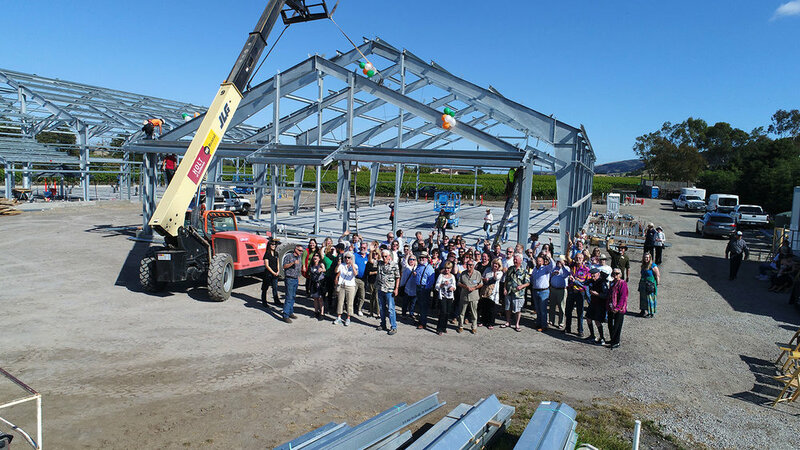 Roche Winemaker Dinner: First Customer Event at New Facility!